R1,1m. That’s how much communications minister Faith Muthambi has splashed out on a brand-new BMW X5 sports utility vehicle. In a document entitled “Additional information on identified virements” for the 2016 Adjustments Appropriation Bill, national treasury has revealed the spending by the department of communications on the luxury BMW for the ministry’s use. 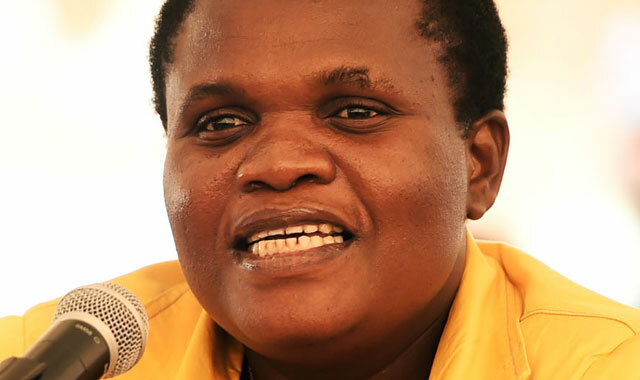 The new vehicle for Muthambi is one of several luxury cars bought by various government ministries, the document reveals. Deputy minister of planning, monitoring & evaluation Buti Manamela has spent almost R1m on a new Audi Q7 Quattro, while trade & industry minister Rob Davies has splashed out more than R1,2m on two new Toyota Fortuners valued at about R625 000 each (one for use in Cape Town and one for use in Pretoria). Other big spenders include arts & culture minister Nathi Mthethwa, who has spent R1,5m on two new BMW 5-Series sedans, one for Cape Town and the other Pretoria, and public service & administration minister Ngoako Ramathlodi, who has bought a Ford Everest 4×4 costing R715 000. Ramathlodi’s deputy, Ayanda Dlodlo, meanwhile, spent almost R1,5m of taxpayers’ money on two new vehicles, an Audi A8 for R750 000 and an Audi A7 for R735 000. The new vehicle purchases come in spite of an instruction by finance minister Pravin Gordhan for government officials to constrain their spending in a difficult fiscal environment. Democratic Alliance MP David Maynier, who is shadow of minister of finance, has vowed to fight the “wasteful expenditure”. “The standing committee on appropriations will have to decide how to deal with R1,29bn of wasteful expenditure buried in the Adjustments Appropriation Bill [B16-2016] when it meets today (Monday) in parliament,” Maynier said in a statement. since when is splashing more than R1.2mn on two vehicles acceptable? Our country has stage 4 cANCer! The tax I pay can be used for an installment for a nice BMW. I want my money back. 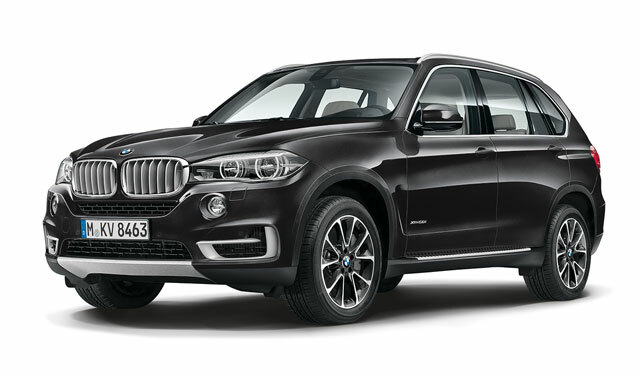 I did not authorize the X5….. When last have you checked the cost of cars? He could have bought a much better equipped sedan with the same money, but the budget is OK. The fact that they need two vehicles is a result of our split capitals, but that is a separate issue. Yes, maybe I am living in a dream land, but I think it is OK for a national government minister to drive a luxury vehicle, within reason. That does not mean that I support a cabinet the size of Lesotho’s parliament and 90% of them feeding at the trough as if it is the end of the world. Join me, a pensioner and ‘check out’ the cost of food, the cost of electricity, the cost of MUNICIPAL RATES some time. I’m stunned that you could defend this reckless and arrogant squandering of public funds by this Rob Davis who produces absolutely NOTHING of measurable value to this country and its citizens, nothing. The last time I saw him on the BBC programme Hard Talk he was like a guilty school boy who was caught smoking by the headmaster. Steven Sakur had him on the ropes and Davies was a NATIONAL EMBARRASSMENT, it was painful to watch, he could not give a single answer to the BBC host. What do WE pay this guy? You mean to tell me that IN ADDITION to an eye watering salary, he gets as a gift, not one but two bloody cars for free? Do you think it’s right for this ANC apparatchik to do this type of thing when we are on the abyss of a credit rating downgrade? Davies is actually indicative of the Rentier class of parasites that the ANC has now become. Too terrible to think of, too terrible that a tax payer thinks it’s OK for this to continue. You want to pay for the Davies stable of LUXURY vehicles? Fine, go ahead and pay, but not the rest of us pal! This lack of responsibility is as much as saying F u Mr Minister of finance & taxpayer. Presumably you are saying this with a hint of sarcasm? If not, then you are perhaps seriously delusional and need help. A clear indication that ANC MPs don’t give a fig for the cost-cutting measures instituted by Treasury. These MPs are so taken by their own self-importance that they forget they are public servants utilising tax payers’ money. As I said, a minister worth his/her salt should have a reasonable vehicle. I do not have particular affection for Davis. I do maintain that a Toyota Fortuner is reasonable. Here’s a suggestion: Limit the choice of vehicles to ministers to vehicles that are actually assembled in SA. Here’s a far better suggestion: Open up the choice of vehicles to WHATEVER these tapeworm ministers want as long as they bloody well pay for those vehicles THEMSELVES! Just like the rest of us.God knows they skim off enough to do just that. Rob Davies, the semi-literate Faith Muthambi and all the rest of the Zuma groupie gangsta’s enjoying the fruits of the so-called struggle can piss off to another private sector job if they think they can score a better pay cheque, and not a moment too soon either. Here’s a factoid for you to chew on for today: From Zuma down to your local ward councillor they are ALL, all of them to a man/woman on the payroll of US the taxpayers and as such we should STOP any and all vehicle allowances/free travel/free phone calls and all the rest of the OUTRAGEOUS perks these creeps enjoy at present. How they sleep at night is what amazes me actually. Have these people no conscience at all? They should buy their own vehicles with their exorbitant salaries. I wonder if she will be able to actually drive this thing. No Davebee, a Conscience should be considered a super power coming from the ANC Cronnies. How can this be accepted in a country that is almost being rated as junk for investment. Sadly when the ANC is in power, its acceptable. I couldn’t care if it’s a Rolls Royce, as long as it doesn’t cost more than R300k. What is the matter with you – are you family or something? A chev cruze would work too.